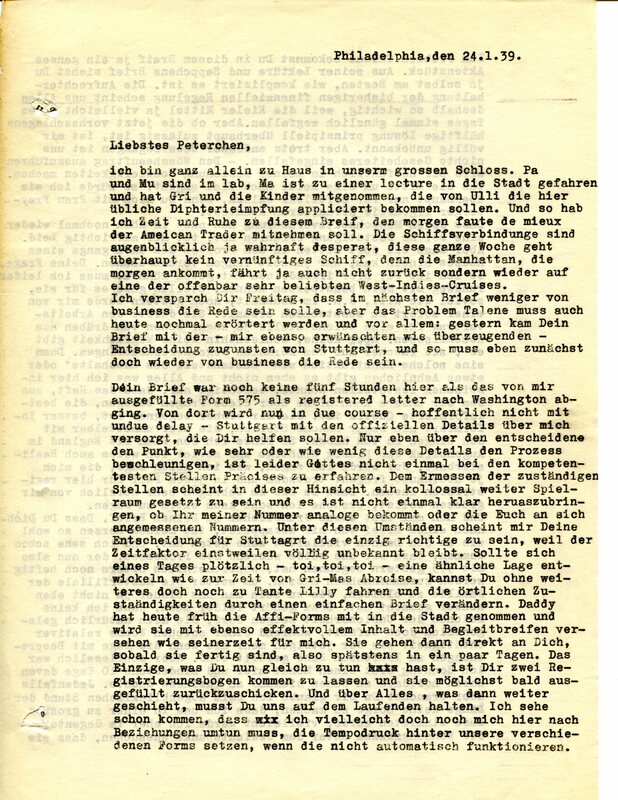 Many readers of this blog know that I have been working for a long time to translate and edit nearly a hundred long letters that my parents exchanged as they were fleeing Nazi Germany in 1938-1939. I am very pleased to tell you that my manuscript has been accepted for publication by the American Philosophical Society and will be available as a book by mid-2015. For those of you who may not be familiar with the American Philosophical Society, it is an international honorary membership organization of scientists, scholars, artists and public officials. Its elected members include numerous heads of state and Nobel prize winners. APS was founded by Benjamin Franklin in 1743. 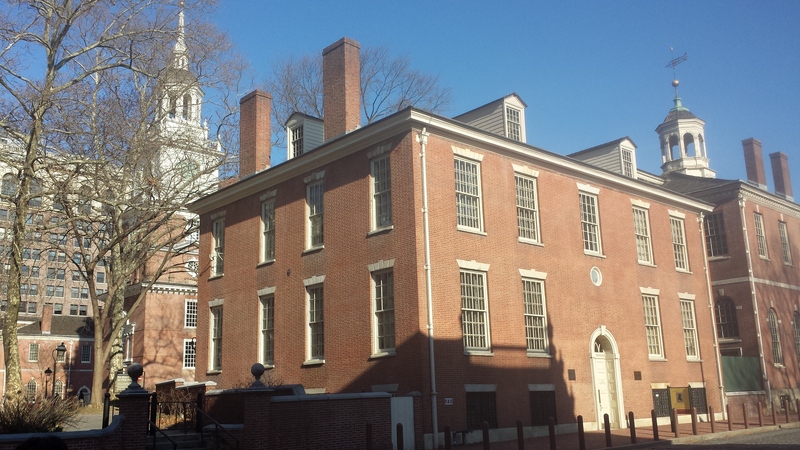 Its headquarters building, Philosophical Hall, has been located next to Independence Hall since 1789. The Society has maintained a small but important publishing program since its founding, and my book will now join its list of publications. My mother, Elfriede Höber, had to stay behind in Germany when my father left for Philadelphia on November 12, 1938. She and my nine year old sister Susanne were unable to get out of Europe until a year later. It was a scary time. 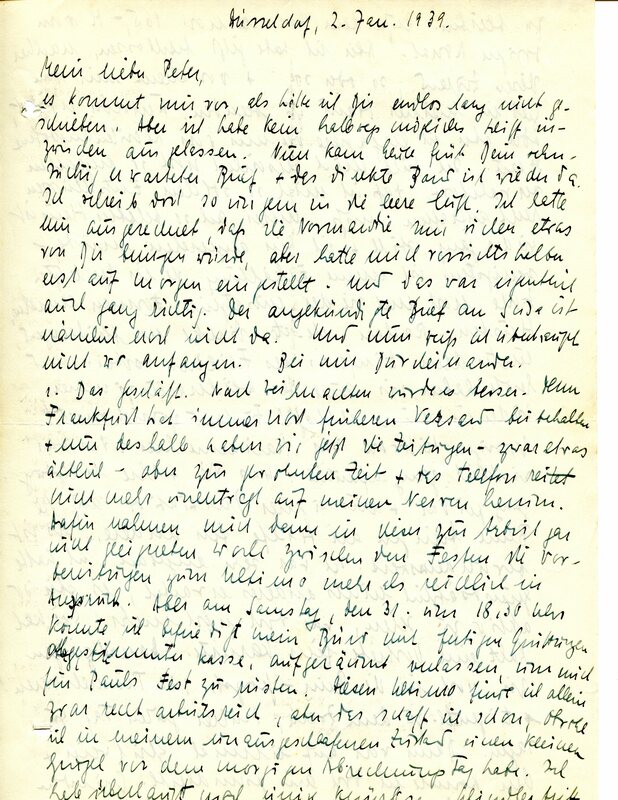 During the months they were separated, my mother and father exchanged long letters, with Elfriede describing the worsening situation under the Nazis and my father, Johannes, describing his flight from Europe and his exhilarating entry into American life. These letters form the basis of Against Time: Letters from Nazi Germany, 1938-1939. Johannes died in Washington, DC in 1977 at the age of 73. I found the letters among his papers some years after his death but didn’t grasp their significance for some time. My knowledge of German was sketchy then. Having turned away from Germany in 1939, my parents rarely spoke the language at home; most of the German I knew I learned in high school. Working with a German-English dictionary, I could only make out a few parts of the letters that were typed; the handwritten letters entirely eluded my comprehension. In addition, the letters were full of unintelligible terms that appeared in no dictionary – Abo, Wobla, Staka, Affi – and perplexing names – Onkel Karl, Onkel Paul, Felix, Nepomuk – that didn’t belong to anyone I had ever hear my parents mention. I felt that I would never figure these letters out and that I would be defeated by the handwriting, the foreign language, the mysterious terms and the unidentifiable names. But there was something about the letters – their secrecy, their mystery, and the dark times in which they were written – that kept calling me back. Over a period of years I tried to figure out what the letters meant. I returned to evening German classes to be better able to deal with the language. I struggled to decipher the words and their significance. It eventually became apparent, from the context, that many words were a code that Johannes and Elfriede understood but others could not. I then realized that the letters were written with the assumption that they might be opened by the Nazi authorities. 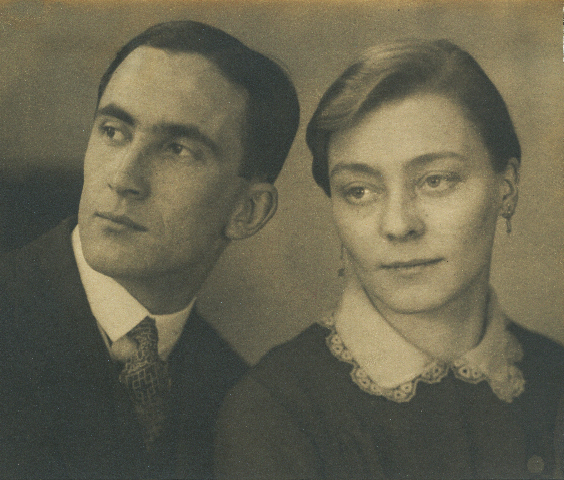 If that were to happen, Johannes and Elfriede wanted to ensure that their own words would not endanger them or their friends or family. Eventually, from context and research, and from repeated readings, I was able to decode most of the content of the letters. Working with the letters has shown me that my parents’ story during this dangerous period was not so dark as I had imagined. Indeed, the letters are full of cleverness, good fortune and a persistent optimism in the face of frightening difficulties. At the same time, there is a tension, a sense of strain I feel each time I pick them up. I sensed in these letters how emotionally challenging the events of 1938-1939 were. I often found the anxiety transmitted through their words to me. There were periods when I gave up all work on the letters for a year or two at a time. But I did go back, and eventually there was a great reward for me in deciphering and understanding the letters in this book. Although Johannes died in 1977 and Elfriede in 1999, through the letters I got to meet and know them as two new people. As a father, Johannes could be difficult, but in the letters he is charming, caring, clever, ambitious and loving and concerned for the welfare of Elfriede and Susanne. He helped and encouraged Elfriede to do what she had to do to escape from Germany and bring Susanne to him. As a mother, Elfriede could be reserved, even stolid, but in these letters I discovered an affectionate, engaged and loving wife and mother. In deciphering these letters I also discovered two fine, passionate, but very different writers. My father’s letters are carefully organized and precise, self-conscious and at the same time full of colorful detail and rich accounts of people, places and events that convey his deep interest in the world he observed. My mother’s letters, even when slightly chaotic, convey a full sense of her strong feelings about what she was experiencing. Her letters are often laced with a breezy wit, though the humor is mostly ironic and often witheringly sarcastic. I never knew my mother was as darkly funny as she is in these letters. Writing a book and getting it published is no sport for the short-winded. I have been working on this project for a long time and it will be more months until the book sees the light of day. But it is thrilling work and I am very much looking forward to the day when I can share all of this with all of you.